is Professor for Guitar and Chamber Music at the Conservatory of the City of Luxembourg. 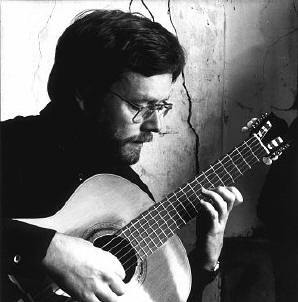 Besides his educational activity, he pursues an active career as polyvalent performer and creator: classical solo guitar, in duo and trio; flute and guitar, voice and guitar; guitar with other instruments and with orchestra; electric guitar in various jazz and rock groups; combining of literature and music; theatre music; electronic music. look for the events with Cary Greisch and his friends in and around Luxembourg. subscribe to my email list to be informed on upcoming events. You will also be notified when I publish new photos or videos. Tëscht Kaz a Kueder, dat neit Buch vum Pol Greisch. 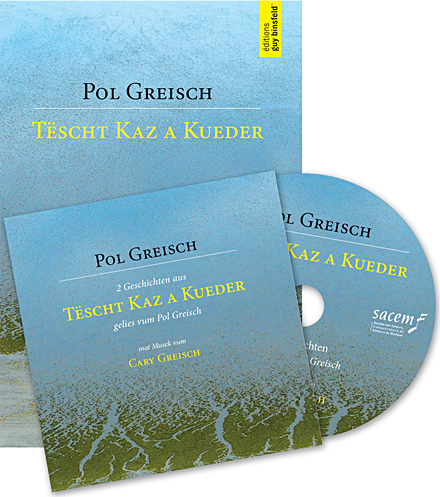 Op der Bonus-CD: D'Titelgeschicht 'Tëscht Kaz a Kueder' an 'Aus dem Noper sengen Notizen', gelies vum Pol Greisch mat Musek vum Cary Greisch.